From birth to 18 weeks, puppies are in a crucial developmental phase. During this time, it is your job as a puppy parent to prevent behavior problems from occurring! The biggest mistake new puppy parents make is waiting until it is too late! Don't delay! At AGDT we are passionate about puppies! It is our mission to give owners the information that they need from DAY ONE so that they will have an enjoyable life with their puppy. Click the links below to take advantage of some of our offers. Puppy Socials at AGDT are a unique hour of trainer-guided playtime with other puppies from the neighborhood. They are the best way to socialize unvaccinated puppies in a clean environment, to introduce good playtime manners, and to wear out your puppy so you can get some peace. Learn more. Puppy Kindergarten is the essential socialization and manners class for puppies from 10-weeks to 4.5-months of age. 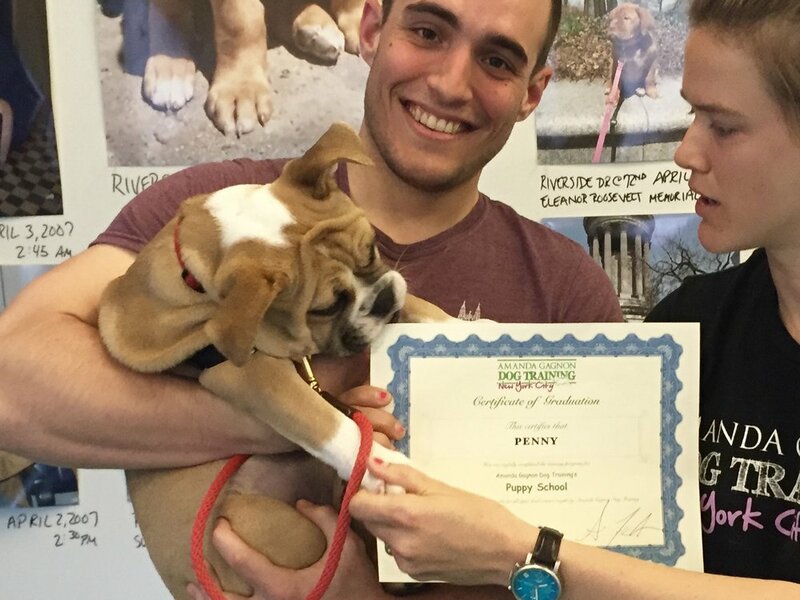 Join us to find out why our puppy classes are the best in the business. Learn More. Private, in-home coaching is a great way to set you and your puppy up for success from the start. Programs are entirely customized to your needs. Learn More. Many daycares cannot take young pups, because they haven’t completed all of their vaccinations. AGDT specializes in young puppy care. We’ll give your puppy all of the love s/he needs while you are away. Plus, we’ll work on all of your training goals too. Learn more. Puppy Intensive packages are custom-designed to meet your goals. Intensives can cover everything from house-training to prevention of aggression and undesirable behaviors. Learn More.